[JULY 5, 2006] The Oasis, Logan County's senior citizen center, at 501 Pulaski St. in Lincoln, is open weekdays, except holidays, from 9 a.m. to 4 p.m. The center also is open on Friday and Sunday nights for table games. Dominic Dalpoas is the executive director. Activities are open to all Logan County senior citizens, regardless of membership. Friends of The Oasis members receive a bimonthly newsletter by mail and reduced rates for classes and trips. For more information, call 732-6132 or 732-5844. 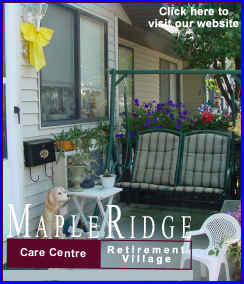 Maple Ridge Care Centre will sponsor the bingo games at 1 p.m. Thursday at The Oasis. Come join the fun and win some prizes! The Meeters and Greeters group will meet Monday at 2 p.m. at the senior center. This group of volunteers visits once a month with those who cannot get out in order to add a bright spot in their life. The 11:30 a.m. lunch for July 18 will feature pork with mushroom gravy, buttered noodles, mixed vegetables, dessert and a drink for only $3.75, or $3.25 if you stay and play cards. The reservation deadline is 4 p.m. Monday. Eleanor Barton and Larry Van Bibber were weekday pinochle winners. The weekend pinochle winners were Helen Cart, Frances Murray and Dorothy Oltmanns. Winners at five-in-one were Joann Eckert and Dorothy Oltmanns. Congratulations.